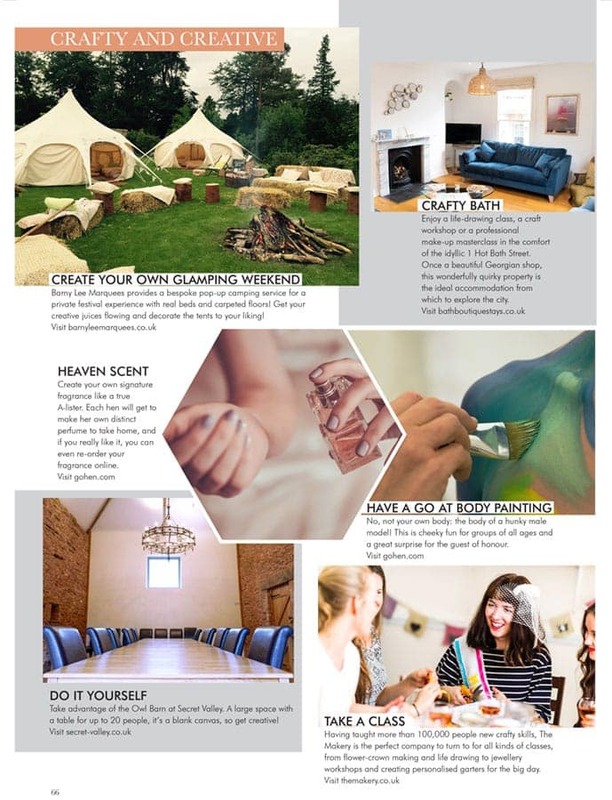 Our luxury glamping accommodation at the Glastonbury Festival 2019 has been highlighted in Your Bristol and Somerset Wedding magazine as a top choice for hen-do weekends! For those lucky enough to be in possession of Glastonbury tickets for 2019, the Glastonbury Retreat provides the ultimate luxury festival experience. A selection of high spec accommodation options, hot showers, hot tubs, restaurant, late night bar with fire pits, pilates and massage make this a very special place to enjoy all that Glastonbury has to offer in comfort and style. 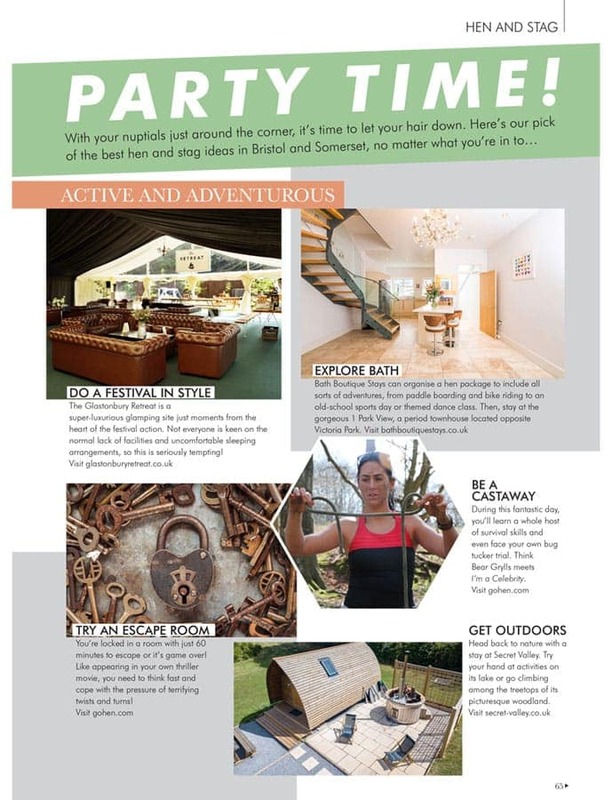 Find out more and book your glamping experience on the why glamping page..
Other suggestions in the magazine editorial feature for places to celebrate your hen or stag do included a crafty and creative weekend creating your own pop up glamping field with the help of our sister company Barny Lee Marquees. 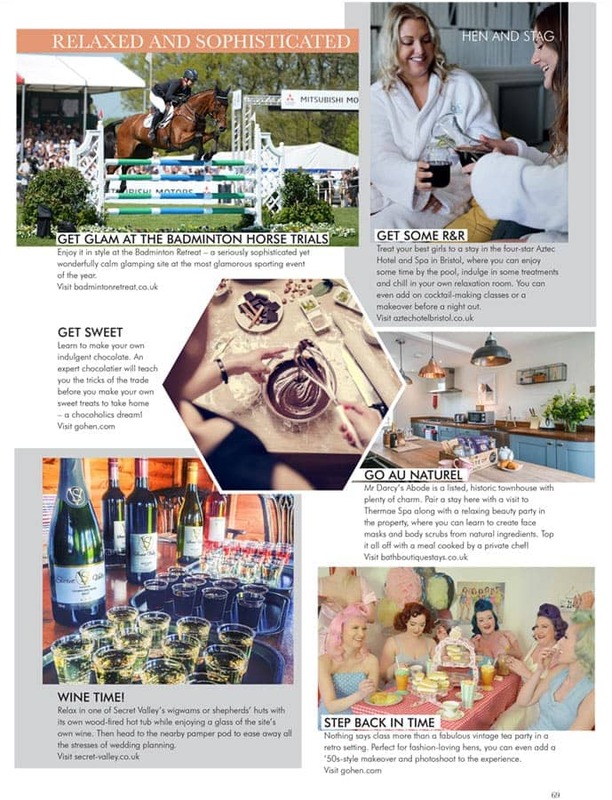 Or indulging in a weekend away at Mitsubishi Motors Badminton Horse Trials in May staying at the marvelous Badminton Retreat. Barny Lee Marquees provide bespoke pop up glamping accommodation for weddings and events should you wish to include a luxury camping option at your celebration. 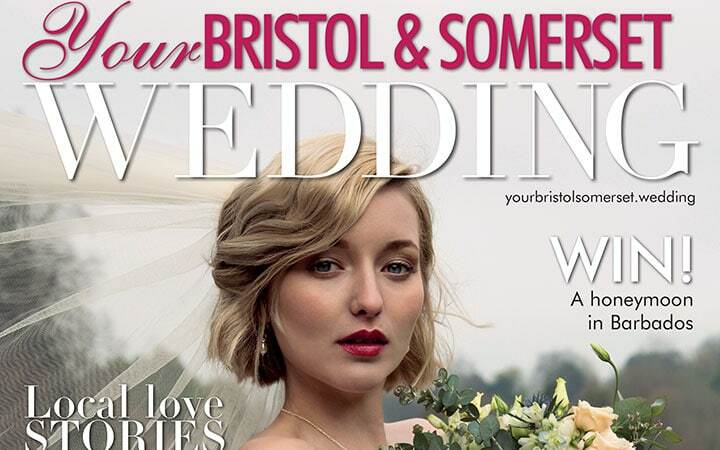 They offer a no obligation on-site visit to measure up and discuss the proposed site and discuss all the different marquee, furniture and glamping options. They will also assist with the planning and design process producing scale CAD (Computer Aided Designs) drawings and advise on how to make most of your location in the day and throughout the night. Visit the website barnyleemarquees.co.uk for more information and to book your free consultation.